Diksha Bhumi, a photo by Koshyk on Flickr. 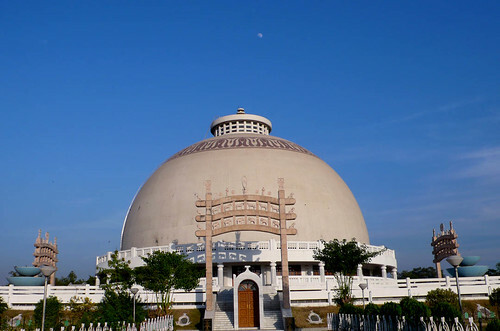 At the center, a casket has the remains of the great Ambedkar (1891-1956), who was instrumental in bring about the revival of Buddhism in India among the ex-untouchables. I dearly want to visit here.